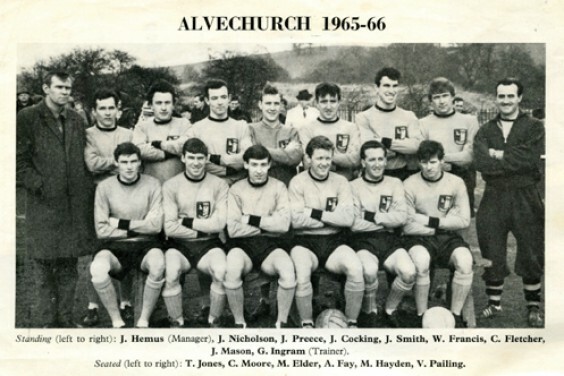 Your chance to own a piece of Alvechurch FC’s sporting history. . .
With Alvechurch FC enjoying recent success, a Rowney Green resident is looking to share a piece of the club’s history. 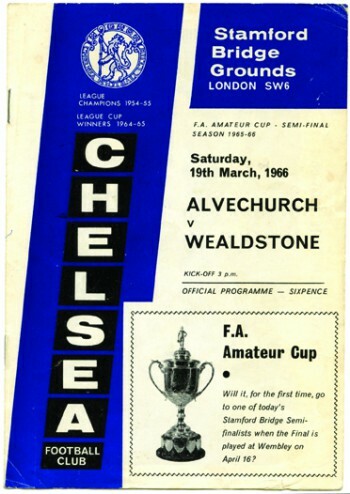 Steve Ianson was a 12-year-old spectator when the team played Wealdstone in an FA Amateur Cup semi-final in 1966, and he kept the matchday programme as a souvenir. “I came across it recently when I was having a clear-out, and I thought it might be an idea to auction it and raise a few quid for charity,” he says. The match was played at Stamford Bridge, home of Chelsea FC, and Steve says he mainly remembers the long journey to London with his grandfather and a friend, and sitting outside a pub on the Fulham Road while the men had a pre-match drink. With Alvechurch unfortunately losing the game 1‑0, the day was rounded off with a commiseratory pint at the Red Lion when they got home! The programme, costing the princely sum of sixpence, contains photos and information on both teams, revealing that this was the first time AFC – then sitting fourth in the Worcestershire Combination – had reached the last four of the Amateur Cup, having dispatched Skelmersdale, Stowmarket, Enfield and Crook Town en route. It goes on to say, “Basically they are a team without stars, although many of their fans rate [John] Mason as the best centre-forward in the country.” Well, he had scored five goals in this campaign already. Wealdstone, beaten 4–1 by ’Church in the previous season’s competition (all four goals scored by Mason), not only took their revenge but went on to bag the 1966 trophy. If you are interested in making a bid for the programme, you can contact Steve on 01527 61367. Any money raised will be donated to Breast Cancer Care, which Steve has chosen as his charity during his captaincy of Kings Norton Golf Club. * Did any other readers attend this match? Or does anyone else have sporting memorabilia to share? Get in touch with us in the usual way.